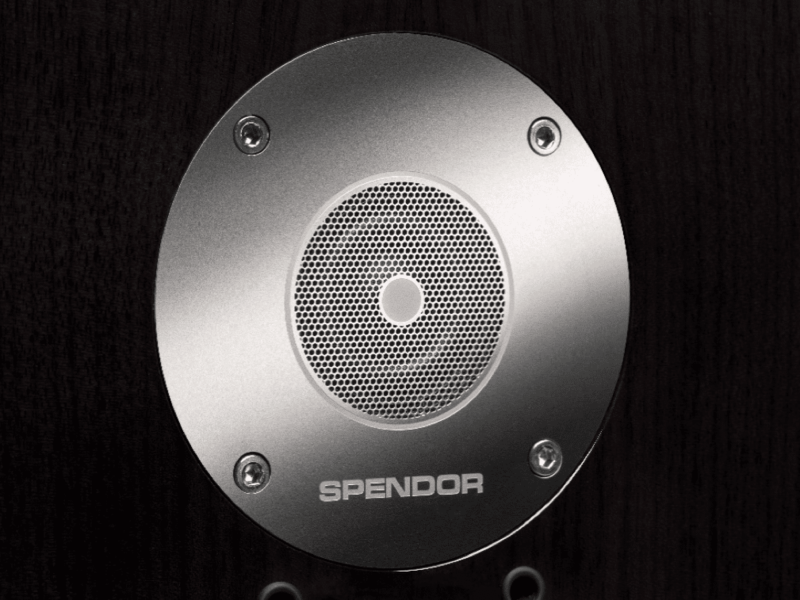 The Spendor LPZ tweeter is built around a stainless steel front plate which forms a damped acoustic chamber directly in front of a lightweight woven polyamide diaphragm. The front plate incorporates a phase correcting micro foil to equalise sound wave path lengths across the diaphragm surface. Simultaneously it generates a symmetrical pressure environment on both faces of the diaphragm so the tweeter always operates in a balanced linear mode. The D9 mid-bass drive unit has an EP77 polymer cone. 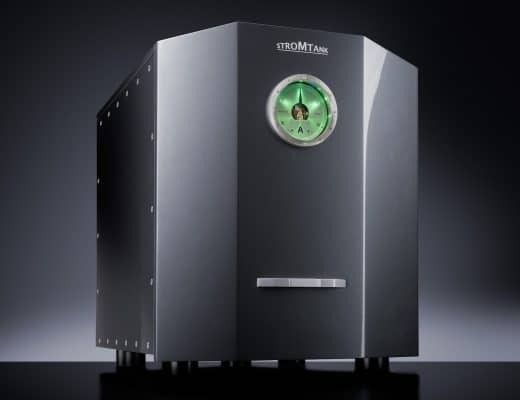 Housed in an isolated enclosure at the top of the cabinet, it handles only mid-range frequencies which eliminates mid-low frequency intermodulation. 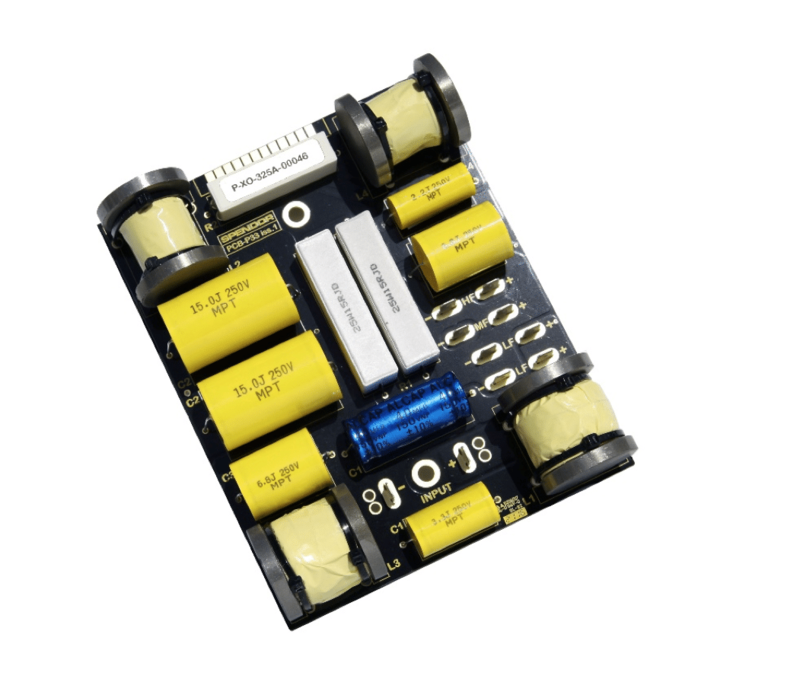 The two D9 low frequency drivers have rigid, two part bonded, lightweight Kevlar composite cone assemblies. 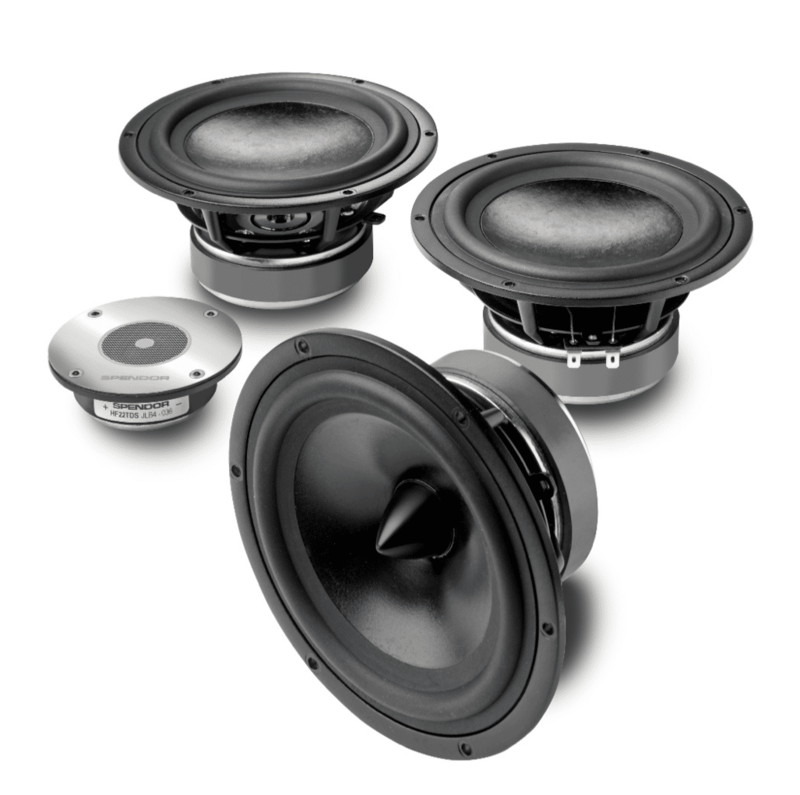 The bass drivers are in a large dedicated low-frequency acoustic enclosure. All three drivers feature cast magnesium alloy chassis motor systems. 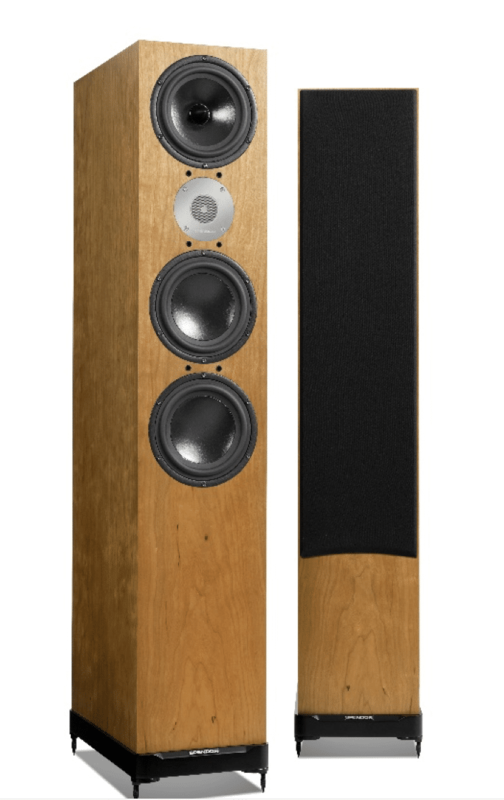 In the D9, low frequencies are handled by two specially designed bass drivers in a substantial volume enclosure. For optimum low frequency response and power handling the enclosure is ported. The D9 incorporates the Fifth Generation Spendor Linear Flow Port Technology. An aerodynamically profiled central baffle, like an aircraft wing, creates a tapered twin-venturi port. Air at the port extremities is smoothly decelerated and there is a further reduction in air velocity in the large tapered area at the cabinet base. Rapidly decreasing air velocity at the port extremities creates an air-curtain effect to eliminate port noise and spurious mid-band radiation. Spendor supplies Asymmetrical Aperture Bracing to disperse internal waves and create a very rigid non-resonant enclosure, while Spendor Dynamic Damping with small low mass constrained polymer dampers at key energy interface points instantly convert any spurious energy in the cabinet structure into inaudible heat. The base of each cabinet has four levelling feet attached via forged steel inserts to hold the cabinet steady while 90dB efficiency and an easy to drive 8ohm load ensure complete compatibility with all good amplifiers and cables. Finishes includes spendor dark, satin white, dark ebony, light oak, dark walnut, cherry and black ash. 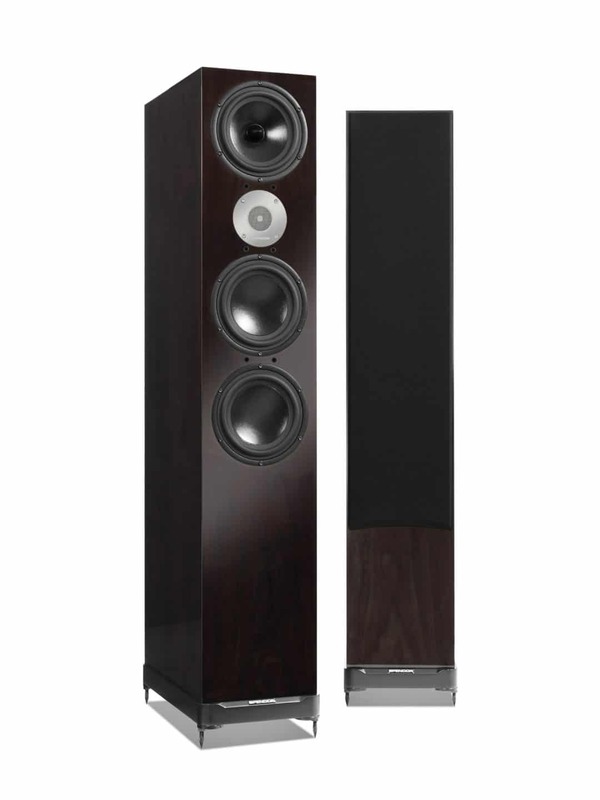 Price is £7,495 per pair for special finishes and £6,495.00 per pair for standard finishes. WTF ! Was this a review, plug, other ? Paul Rigby “the audiophile man” ! It was a news item, Peter. P.S. 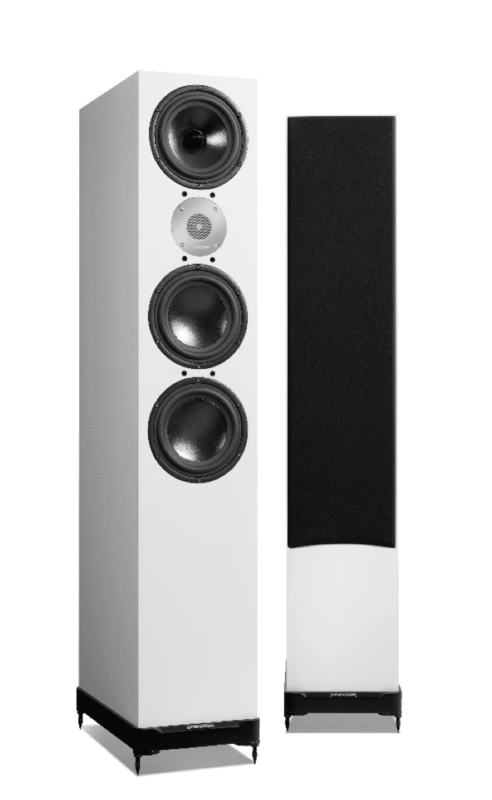 The loudspeaker supplied plinth/base (on the D-9) looks awfully cheap –and “plasticky”. The (hopefully) threaded spikes also look like the type found on the cheapest products and metal speaker stands. Anyone considering these should understand the absolutely essential consideration of the loudspeaker-base-floor interface. Such a blatant, indifferent oversight is simply inexplicable . 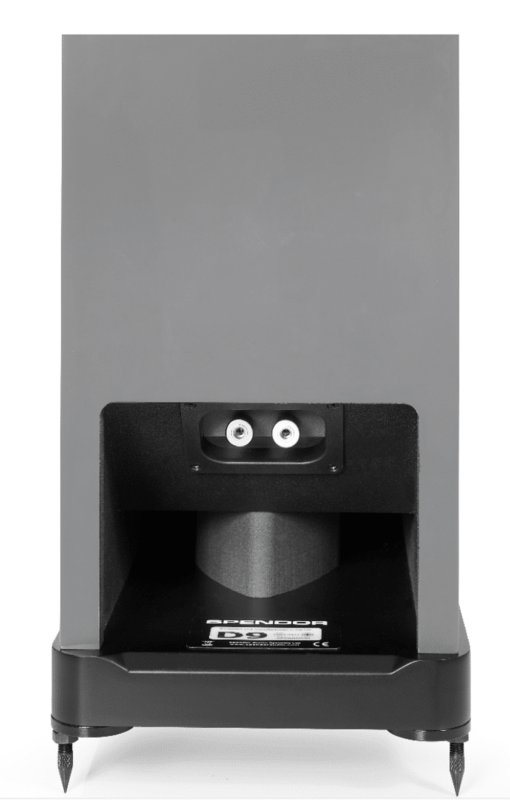 The loudspeakers Base/Stand should offer up a wider & deeper “footprint” utilizing rigid, heavy metal with “fanning” feet for added stability –and a user friendly leveling system . Should the D-9 be available for review, consider Spendor’s effort in this regard. if you had properly taken the time to read this post you would have saved yourself from making two silly comments. firstly its labeled a news item secondly the speaker is engineered differently to most. Spendor use to offer wider footprints, now they try to address this with a special internal enclosure/damping and use of linear flow ports. to think Spendor would make a oversight such as obvious as that one is laughable, what you thought they forgot to add some nice shiny feet to it!? 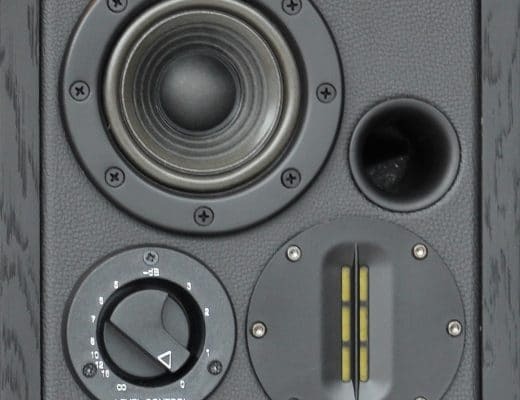 they are not a company which brags or markets its achievements but their engineering expertise is world class, they have simply taken a different approach to speaker design.